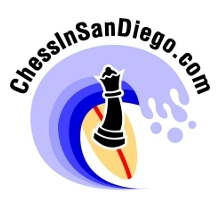 I am interested in knowing about local chess events in the San Diego area. I am interested in tournaments held regularly in a less than formal setting; what dates, times and locations they are held at. I am not a member of any local chess club yet but I do have a membership with USCF. My main interest is to play chess with others that enjoy playing in a friendly atmosphere who want to play for the enjoyment of the game and learning from their experiences across the board. Great! I’ve tried to compile all of the regular chess games I’ve been able to find in the area into a google calendar, which you can look at from the calendar page here. Let me know if you find other games, or have updates to the calendar. Eliza, amazing job collecting chess information on San Diego! Thank you! I am looking for a chess master who would be interested in starting a chess club after school in Ramona. Do you have any ideas? I conduct educational programs in many schools in Hong Kong. I am looking for chess instructors who may be interested in teaching children in this part of the world for a year or two.